Applications are hereby invited from suitably qualified candidates for admission into the Professional Diploma in Building Technology and Urban and Regional Planning programmes of the Polytechnic for the 2018/2019 Academic session. 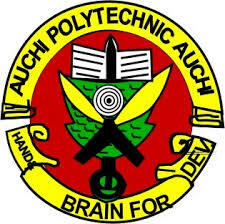 Auchi Polytechnic Professional Diploma Admission Requirements. Candidates must possess a Minimum of a lower credit pass in the Higher National Diploma (HND) in Building Technology obtained from an institution whose programme has earned NBTE accreditation or any equivalent qualification. Satisfactory completion of NYSC or Evidence of Exemption from the programme. The duration of full-time course is Eighteen (18) calendar months, i.e., at least three (3) Semesters. Candidates must possess the Higher National Diploma (HND) and the National Diploma (ND) in Urban and Regional Planning of the Polytechnic or an equivalent qualification from other similar Institutions whose programmes have earned NBTE Accreditation. In addition, Graduates of Geography and Regional Planning with a minimum of Second Class Lower Division Pass are eligible to apply. How to Apply for Auchi Polytechnic Professional Diploma Admission.